Hi everyone! Today I’ll be sharing our 6th Grade Homeschool Curriculum picks for 2017-2018 school year. I’m super excited to be adding in some fun new items this year, and of course we’ll be sticking with our tried and true curriculum as well! If you’d like to see what my 6th grader will be doing this year, watch our 2017-2018 6th Grade Homeschool Curriculum choices here! And that’s it for our 6th grade curriculum line up this year! I’ll try to do a mid-year update to let you all know how it’s going. We’re trying some new curriculum this year, so that’s always exciting! 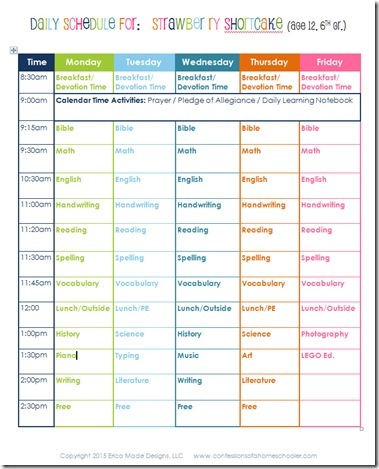 Click here to see a sample of our 6th Grade Daily Homeschool Schedule! This is my first year homeschooling my oldest son and I’m really leaning towards the Math U See for his math curriculum but I’m struggling with what level to start him on. He’ll be doing fourth grade work and he’s ADHD and ODD. I’m worried if I start him on an earlier level, he’ll lose interest in math. But if I start him on say, Gamma, he’ll be overwhelmed. 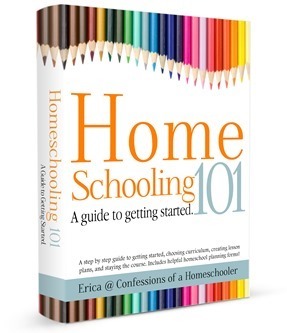 Do you have any recommendations on which level to start for new homeschoolers? My son has been doing Math U See and is going into 5th grade. He seems to have forgotten all of his multiplication facts. We’ve been reviewing flashcards over the summer. Has this happened with any of your kids? Any ideas of how to help him? Thanks for the post Erica! 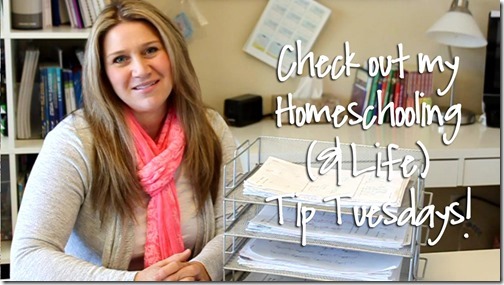 Do you do IEW at home or with a group? We do it at home. We watch the DVD then do the lessons. How do you divide what days your 6th grader does between book shark and your literature units? 🙂 Thanks for responding to both of my questions!! I will have a sixth grader next year (2018-2019) and was wondering how the Ancient History based writing, SOW history, and the Time Travelers Project Passport has been working for you and your family this year? Did the three subjects coordinate well together? Yes, it’s working fairly well. The HITW units last a bit longer than the sections in the SOTW unit, so I just kindof adjust them as we go.